Once bacteria gets inside food, the only way to make it safe for consumption is by cooking it thoroughly. Washing will not make it safe to eat. The only way to link sickness to food bacteria is by way of a stool sample test. 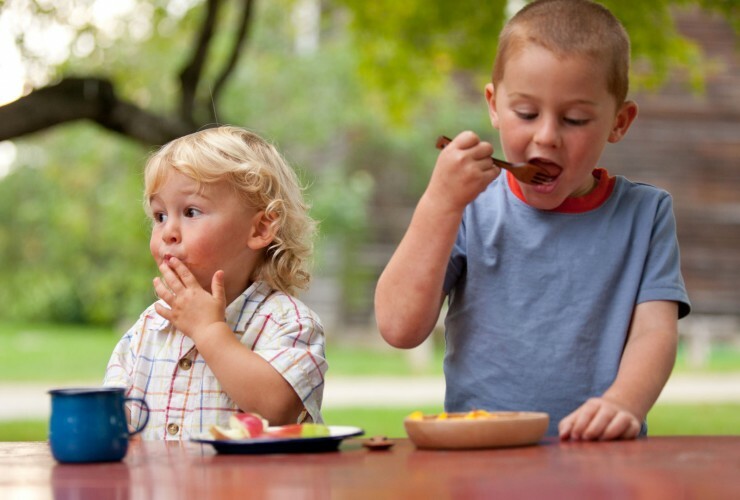 Children (especially those under four years old), the elderly, and the immune-compromised are most vulnerable to foodborne illness. Organic labels do NOT guarantee food safety. Always wash all produce before eating. If foodborne illness is suspected, see a doctor immediately to get tested and treated. Keep these websites handy to check for food recalls and safety alerts. Wash hands with soap for 20 seconds before and after food prep and after using the restroom, changing diapers, and handling or feeding pets. Designate cutting boards for meats, produce, and breads only; don’t use interchangeably. Wash boards, utensils, dishes, and counters with warm, soapy water; dry with paper towels. Use paper towels to clean kitchen surfaces, wash cloth towels in hot water, and microwave wet sponges for one minute daily to kill bacteria. Always wipe can lids prior to opening. Buy whole produce instead of precut or bagged. Remove outer lettuce leaves and damaged areas on produce, but only right before eating as bacteria tends to settle here. Wash produce in cool water only and right before eating. Rinse fruits and veggies with water, scrub if necessary, wiping with paper towels to remove excess dirt and bacteria. Scrub the rind of firm fruits to prevent bacteria transfer to knives and boards. Eating raw spouts is risky; always cook them to kill bacteria. Remember if your grow your own, you have more control of what it’s exposed to. Know where your milk comes from, and don’t be afraid to ask lots of questions regarding the care and health of the cows who give it. Always separate raw meat, poultry, fish, and eggs from other items in the grocery cart, shopping bags, and in the refrigerator at home. Always place these items in plastic bags provided by the grocery store. Keep meat in the bag at home, and freeze it if not cooking within a few days. Refrigerate or freeze meat within two hours of cooking or buying. Never place cooked food and raw meat on the same surface. Never rinse raw poultry as harmful bacteria can splatter to other kitchen surfaces. Thaw food in the refrigerator, microwave, or under cold water….never on the counter. Keep refrigerator temperatures between 40 F and 32 F and freezer temps at 0 F or below. Invest in a refrigerator thermometer; they are more accurate than a dial thermostat. Buying meat from the source is a good way to increase safety. The fewer times the meat has been handled decreases the chance for mishandling. Also, you can see how the animals were raised, which will effect the safety of the meat. < The Importance of Independent Play	> Can Having Too Many Toys Spoil a Child?